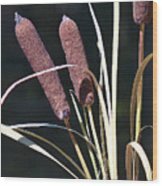 Cat Tails by Pat Carosone - 6.500" x 10.000"
Cat Tails framed print by Pat Carosone. Bring your print to life with hundreds of different frame and mat combinations. Our framed prints are assembled, packaged, and shipped by our expert framing staff and delivered "ready to hang" with pre-attached hanging wire, mounting hooks, and nails. Thanks Allen, I was testing a very old lens, this lens is over 50 years old. 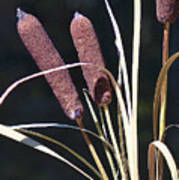 Cat tails from a local swamp. 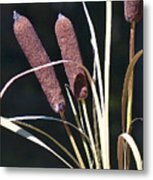 I am a retired Graphic Designer who spent most of my life working in the Advertising Industry doing creative work for some of the largest companies in the world. Working in the Long Island and Manhattan area until retiring 6 years ago and moving to Central New York. I have been an avid photographer since the early 60's but have never been interested in selling any of my work, I always felt that my photos were my personal images and owned only by me and only now have I given any thought to selling some, I hope you fine my work interesting it is basically a history of my life, images of places I've lived and the things I found interesting there.